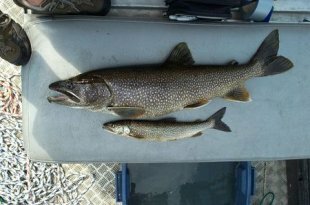 Different sizes of Lake Trout are captured in a Summer Profundal Index Netting study. Namaygoosisagagun First Nation, in partnership with the Anishinabek/Ontario Fisheries Resource Centre (A/OFRC), will be conducting a Summer Profundal Index Netting (SPIN) study from August 14 to August 20. The study will be taking place on Collins Lake, adjacent to the remote First Nation located approximately 253 km north of Thunder Bay. 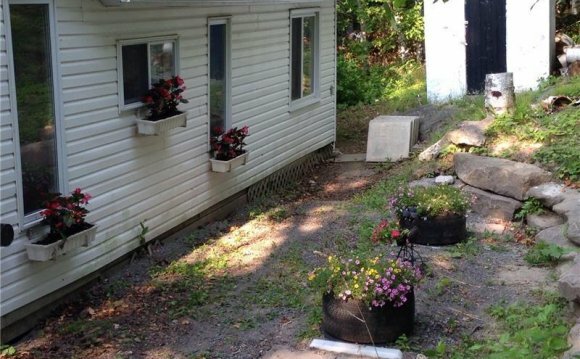 Crews will access Namaygoosisagagun First Nation via train. The purpose of this study is to assess the status and health of the Lake Trout population. Recently, concerns have been raised regarding the potential over-fishing of this highly sought after sport fish. The last study conducted on Collins Lake by the A/OFRC was in 2003, whereby a Spring Littoral Index Netting (SLIN) resulted in average catches of young Lake Trout. This new study will provide further insight into the Lake Trout population and aid in facilitating management goals for the Lake Trout population. In addition to the SPIN study, crews will also be digitizing a proper bathymetric (depth contour) map of Collins Lake to aid in future studies. The A/OFRC is a not for profit organization that serves as an independent source of information. The Centre provides information and recommendations for sustainable fisheries management, reports on stock status, evaluates stresses on fish populations and habitats, and offers technical support.